Your little baby girl will look so stylish wearing this DOLCE & GABBANA Baby Girls 'Vaso Fiori' Mini-Me Tracksuit. 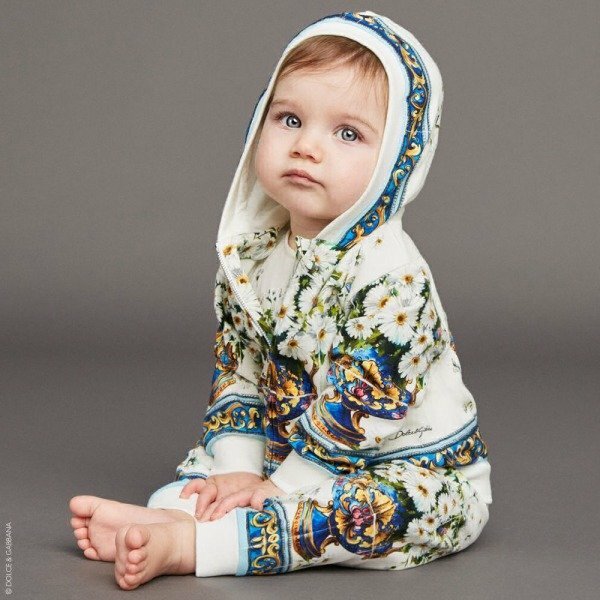 Inspired by the eye-catching Majolica prints from the D&G Women's Collection, this adorable hooded tracksuit is perfect for relaxing and playing. Perfect for a new little princess to look just like her mommy who loves to wear Dolce & Gabbana!